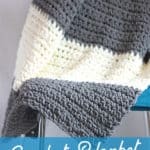 The Granite Crochet Throw Blanket is among one of the top coziest blankets ever! It currently has a permanent spot on my couch because my kids ask for it everyday! It really is that soft. 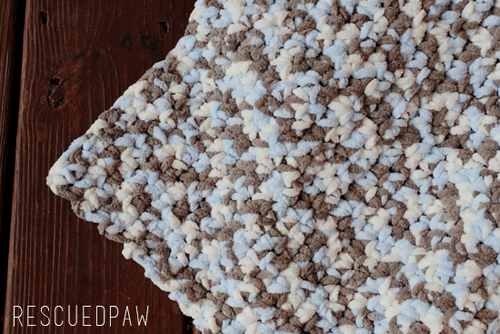 🙂 Read on down to find this easy crocheted throw pattern and make one for yourself. 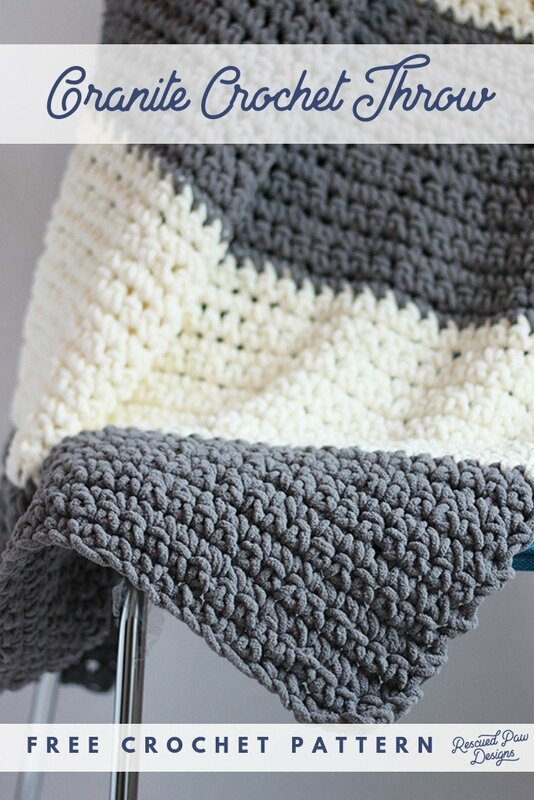 THE YARN That’s perfect for this crochet throw! Can you imagine yourself snuggled up in this crochet throw blanket on a chilly fall day in front of warm crackling fire? I know I can! I am all about cozy and this blanket fits that description to a t! I used Bernat Blanket Yarn from Yarnspirations which happens to be one of the softest yarns imaginable! Click the yarn image below to check out the yarn that I used! You need to try it.. You won’t regret it…. Promise! 🙂 I find mine at my local craft store and it was pretty inexpensive with a coupon or if you want you can check out Amazon too! For the example of the Granite blanket I ended up (after a few stitch changes) using single crochets for the entire crochet pattern. 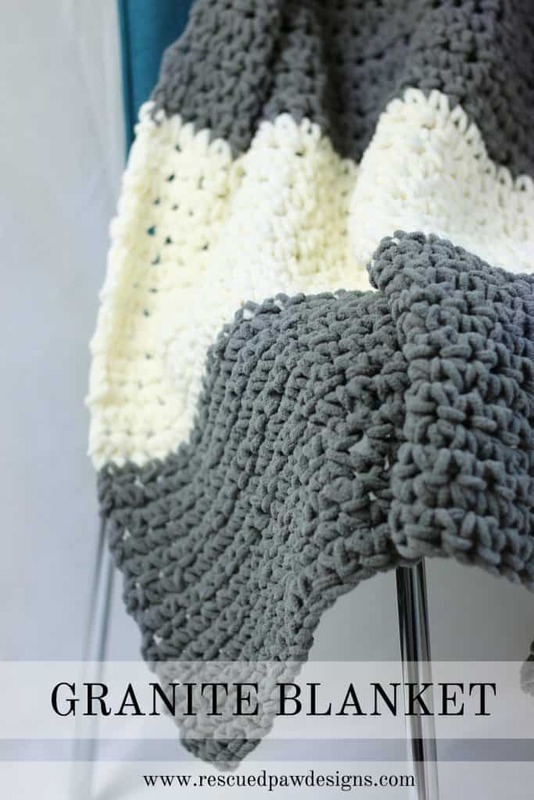 The single crochets, which are so simple make it a great beginner crochet pattern and also a great first crochet blanket to tackle. You can do it! Promise! I worked this example up in less than 2 weeks while Netflixing in the evening and watching my daughter at swim. 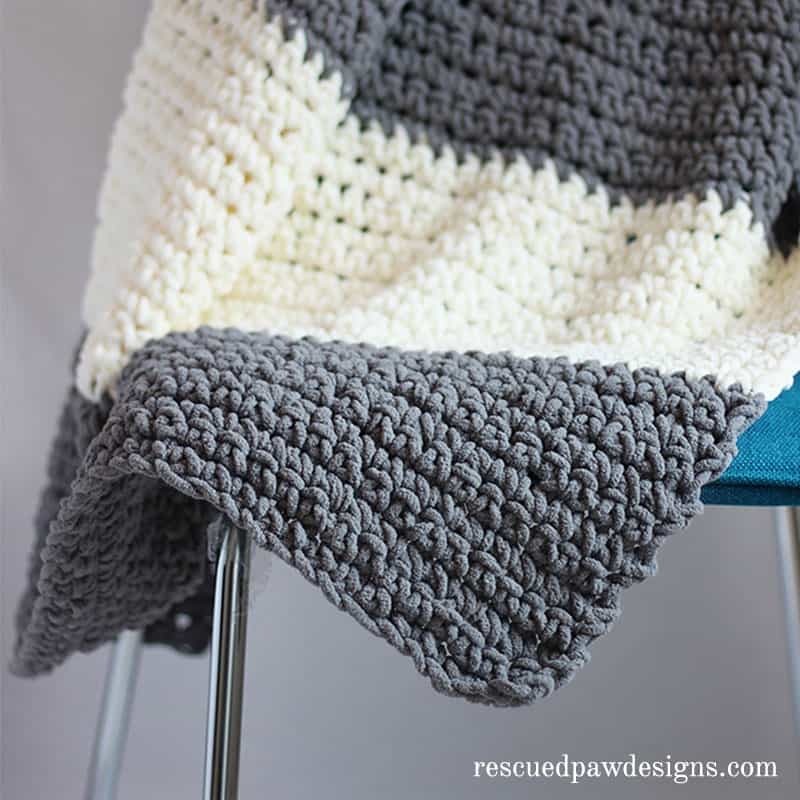 Ready to crochet this blanket up now? 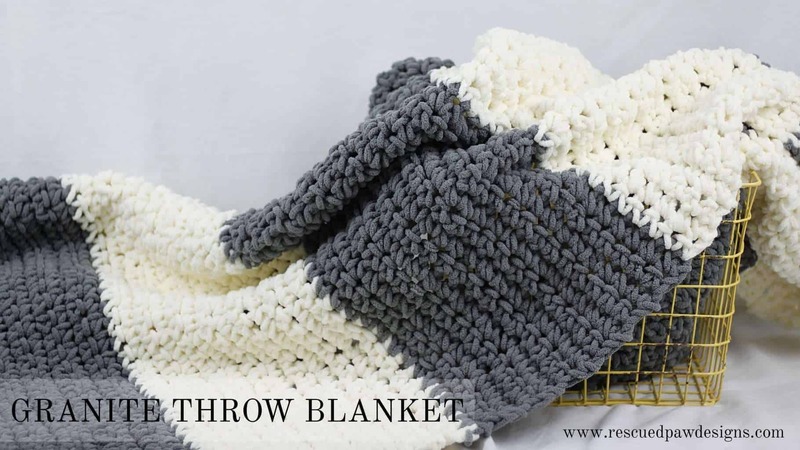 If so, keep reading down for the full, FREE crochet throw blanket pattern. 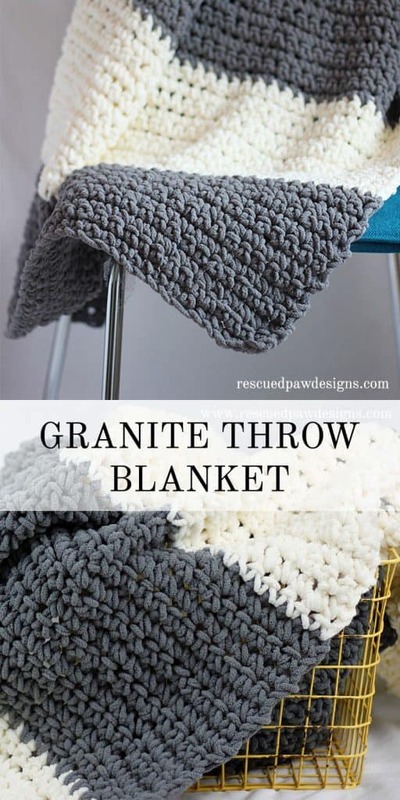 Did you like the Granite Throw? Then you will probably LOVE the Jane Crochet Throw Blanket too! Follow along with me on Pinterest! 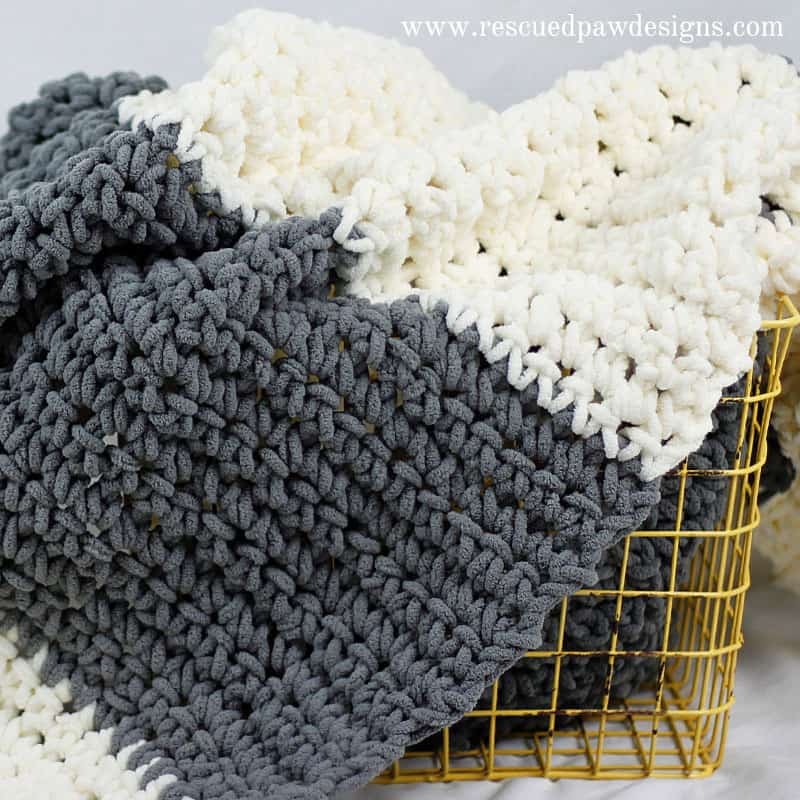 If you liked this granite crochet throw blanket pattern you may also like my Pinterest board crafty crochet where you can always find daily inspiration for new crochet projects. Follow my “Crafty Crochet“ board on Pinterest for more inspiration for all kinds of crochet patterns. Join our subscriber list + keep those projects organized! 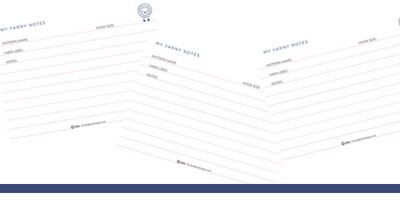 Use Password “YARNYNOTES” to download your free note cards! I’M NOW CROCHETING THIS LOVELY BLANKET IN #6 BULKY BERNAT YARN –EMERALD GREEN AND SEA GREEN !!!! I’M A BEGINNER AND THIS IS SO EASY FOR ME TO DO !!!! TY FOR ALL THE SIZES ALSO !!!! I’m am loving this blanket! Is there anyway to soften the stiffness after I’m finished? Can you throw it in the dryer to make it a little more flexible? Thanks!! The yarn I used was already pretty soft so I didn’t do that but depending on the yarn used could definitely could! Is the 7 skeins for the baby size? If so, how much yarn should I get for the twin size? How much of each color do i need to make the twin size? I’m so in love with your patterns and tutorials!! Thank you so so much for taking the guess work out of making accessories and home decor look fabulous just by using simple stitches. I consider myself an “advanced beginner”(lol) and don’t want patterns that are too complicated…I love crochet but don’t want to spend months completing a project. I look forward to many more completed projects and many gifts to give. Thank you again and God bless. Would be nice if your pictures showed your designs all open so we could really see how they look. Also, with this pattern, is there somewhere that shows how much yarn to buy for the different sizes, i.e., double bed etc.? I may have missed it? HI Lorraine, I will keep the picture idea in mind for future designs. I did not figure out exact yardage (only the #of chains you will need for each size) for this particular blanket (this is an older pattern) but will try to do that for my future blanket designs.